The void, first revealed in November, could contain a throne made of iron collected from meteorites, used by pharaohs to reach the afterlife. NewsweekA sketch outlining the location of the chamber, the the passages that could lead toward it. While the rest of the world wonders who it will be that sits on the Iron Throne in Game of Thrones, archeologists in Egypt may have discovered a real-life iron throne, and it turns out more than a few people likely called it their own. In November of 2017, archaeologists revealed that they had discovered a secret chamber above the Grand Gallery of the Great Pyramid. Also known as the Pyramid of Khufu, the Great Pyramid is the largest of the three pyramids at Giza, and by far the most mysterious. After discovering that the chamber existed, archeologists then were tasked with discovering just what was inside it – a question which stumped experts far and wide. Now, however, one has come forward with a likely hypothesis. Giulio Magli, the director of the Department of Mathematics and a professor of archaeoastronomy at the Politecnico di Milano claims that the chamber contains the great iron throne referenced in the Pyramid Texts, the oldest known religious texts in the world. According to experts, the texts allude to a “throne of iron” upon which the pharaoh Khufu had to sit in order to pass through the “gates of the sky” and enter the afterlife among the northern stars. 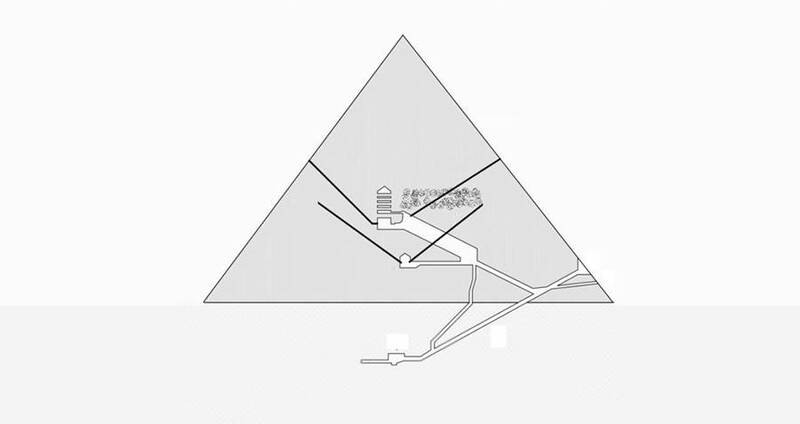 According to Magli, this void is the most likely home of the throne, which would probably sit at the upper end, aligned with the pyramid’s apex. Though no one has actually seen the inside of the void, Magli claims that the evidence backs him up. First, the Great Pyramid contains four shafts that lead up toward the void. Two of them lead to the outside of the pyramid, and two lead to doors. The southernmost door has yielded no results, but the northernmost door, still sealed shut, could lead to the void. He claims that the throne itself would likely be built from meteoric iron, iron retrieved from fallen meteorites. According to the Pyramid Texts, iron was known to have fallen from the sky and been harvested as a material used for prized objects. King Tutankhamun’s dagger, for example. For now, though many theories still exist, none have been confirmed. The void has been scanned using non-invasive procedures, and the possibility of turning to “mini-invasive” techniques, such as an optic fiber camera, is being discussed. 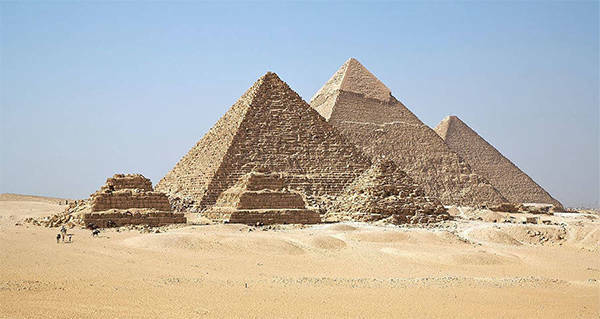 Next, explore more about the wonder of the ancient pyramids. Then, read about the hidden chambers within King Tut’s tomb. Then, check out these photos of the effect of urban sprawl on the Great Pyramids.